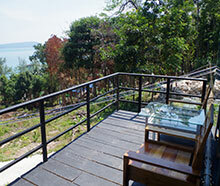 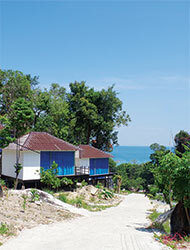 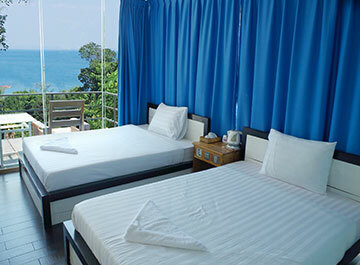 Description Large stilted bungalows with wide ocean views from the private terraces. 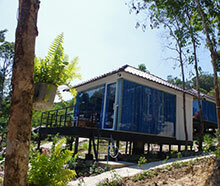 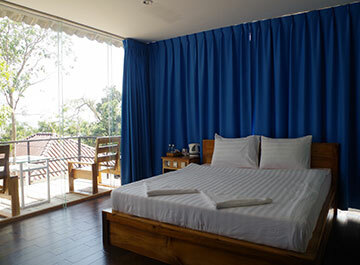 All modern amenities, A/C, Wifi, en suite, fridge, CTV and onsite restaurant. 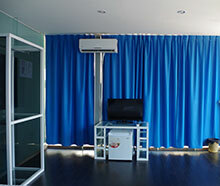 Other services like laundry and travel and tour bookings are available.